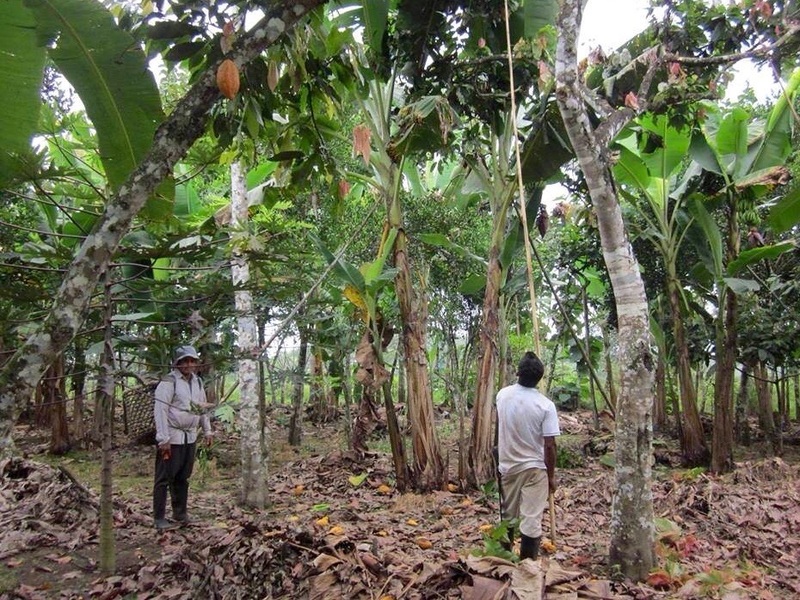 Deep in the jungles of Ecuador is where our ancient elder cacao trees grow wildly abundant. They thrive from being rooted in highly mineralized volcanic soil, nourished by fresh mountain spring water or rainfall, surrounded in immaculate air conditions, and graciously enriched from the biodiversity between the birds, bats, and bugs. It’s no wonder this picture-perfect, pristine environment is cacao’s genetic origin! On donkey or mule back, 400–500 multigenerational, well-trained and knowledgeable cacao harvesters ride high up into mountainous regions where there is no vehicle access. Only mature and fully ripened cacao pods are hand collected from cacao trees ranging between the ages of 30–80 years old. Baskets full of vibrant gold, ruby red, and rich garnet colored cacao pods are passed down to the production facility outside of Guayaquil, Ecuador. A masterful team oversees all aspects of production and every step of the process has been carefully thought out with the intention of producing the highest quality and cleanest cacao available. Cacao beans are fermented the traditional way on cane stalks covered with banana leaves—this step takes 2–4 days depending on varying factors before the beans are sun-dried. Our cacao remains 100% raw from start to finish and is only processed in a state-of-the-art facility on custom artisan equipment that has never seen any other cacao but this cacao—ensuring zero possibility of cross-contamination with any low-quality cacao. Our cacao contains no mycotoxins, molds, yeast, or fungus—these are what cause the adrenal response of jitteriness that is similar to caffeine stimulation with many inferior cacao products. Our wild heirloom cacao delivers a deeply satisfying and nourishing raw chocolate experience. Your heart and pineal gland will thank you. Truly medicinal-grade. *Wild Heirloom Cacao pictures provided through the courtesy of our cacao producer.